“So much can be gained by reflecting on the way Mary learned from Jesus! 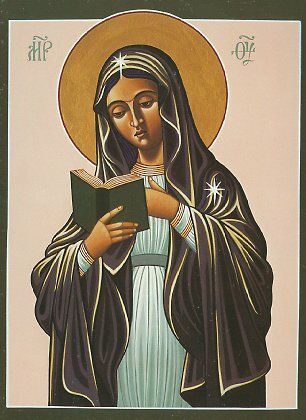 From her very first “fiat”, through the long, ordinary years of the hidden life, as she brought up Jesus, or when at Cana in Galilee she asked for the first sign, or when finally on Calvary, by the Cross, she looked on Jesus, she “learned” him moment by moment. 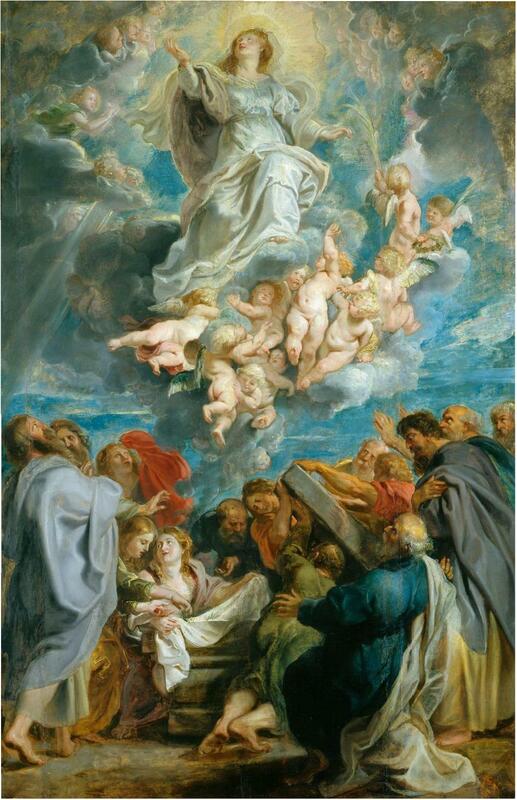 The Assumption of Mary into heaven is a living testament to the Resurrection of Jesus and our resurrections into heaven. Because Mary is the first Christian, God deigned to demonstrate her resurrection in a unique manner (by virtue of the death and resurrection of her only Son). Just as Christ came into the world – to His Mother – in a singular fashion, so God has deigned that Mary should go to heaven – to her Son – in a singular manner. St. Peter says: “…we have been born anew to a living hope through the resurrection of Jesus Christ from the dead, and to an inheritance which is imperishable, undefiled, and unfading, kept in heaven for you…” (I Pet 1:3-4) Mary has embraced this glorious reality through her assumption into heaven. Who better to manifest this undefiled inheritance for all of us who journey forward, than Mary the Mother of Jesus Christ, and by extension in all truth, Mother of His (Mystical) Body (the Church) also. The Christian life is a journey. A journey from this earth of trials to heaven and glory! Lest we get discouraged, God has given us many signs of hope for our journey. One of these hopeful signs is Mary our Mother following after her only Son, close to Him, just as she was on earth. But there is a continuity here from Rev 11:19 to Rev 12. Mary is the “new ark” of the New Covenant”. What made the old ark in the Old Testament especially valuable was its contents. 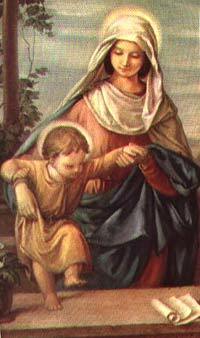 So too with Mary who was with child; containing within her the Unborn Savior of the world. Numerous biblical scholars, theologians and Bishops have found a remarkable parallel between Old Testament accounts of the ark of the covenant (Sam 6:1-13, and elsewhere) and the Incarnation /Visitation accounts in Luke. 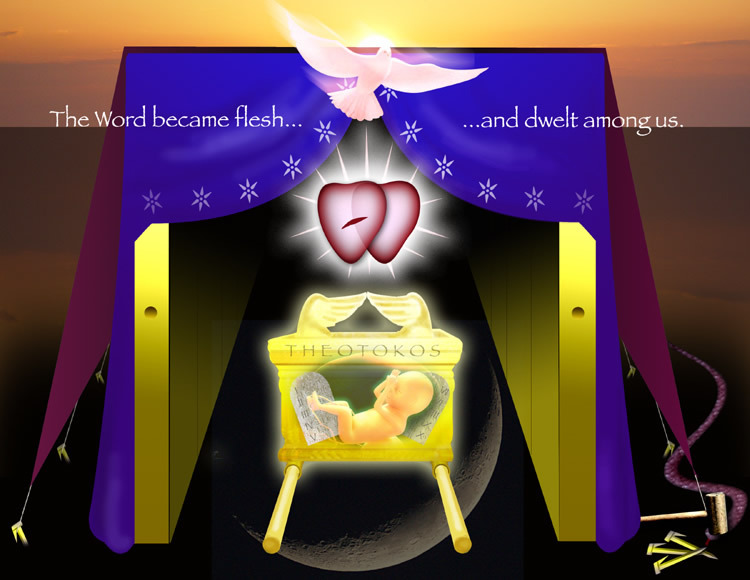 (See Unborn Jesus Our Hope, Chp. 2, footnote 13.) 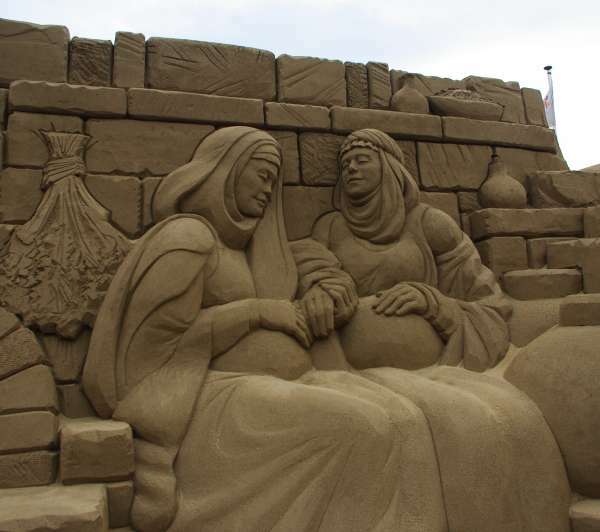 So, Mary is the Ark of the New Covenant, carrying Unborn Jesus within her. She is also the Woman clothed with the sun. There is within Christendom the ancient tradition that Mary was assumed into heaven, body and soul, and in a prophetic sense, Revelations 12 confirms that tradition, bearing witness to the reality of it. Read Rev 11:19 again. Here is one possible interpretation of Rev 11:19: Then God’s temple in heaven was opened and Mary, the pregnant Mother of Jesus our Savior stood within the temple. Perhaps this is heaven’s version of a Nativity scene; a revelation of the New Covenant, Jesus Christ (within the new Ark). Note: Mary is Not Divine, she is Not worshiped, it is Not her temple! She is privileged however, as the faithful and ever-loving Mother of Jesus Christ, to be with Him always in a special manner; and in Rev 11:19 He is her unborn baby. Humanity’s “solitary boast”, as William Wordsworth would say of her (‘The Virgin’, Ecclesiastical Sonnet XXV). We find this peace first and foremost in the Person of Jesus Christ – even when He was an infant, a little baby. Just after the birth of John the Baptist, when Mary was just about 3 months pregnant, Zechariah (the father of newborn baby John) proclaims the future prophetic role of his baby son. Zechariah also speaks of a time “when the day shall dawn upon us from on high….to guide our feet into the way of peace” (Lk 1:78-79). That day had surely begun to dawn in Bethlehem. And so the angel of the Lord and the heavenly host which appeared to the shepherds in the nearby fields, ended their proclamation with these words: “Glory to God in the highest, and on earth peace among men with whom he is pleased!” (Lk 2:14). The shepherds go to the stable and worship the newborn Christ. Later the wise men come and worship as well. There is, in fact, a correlation between worshipping God and encountering the Peace of God. After the shepherds left, Luke tells us: “But Mary kept all these things, pondering them in her heart” (Lk 2:19). The words and experiences were so deep and profound, that only her heart could touch them. 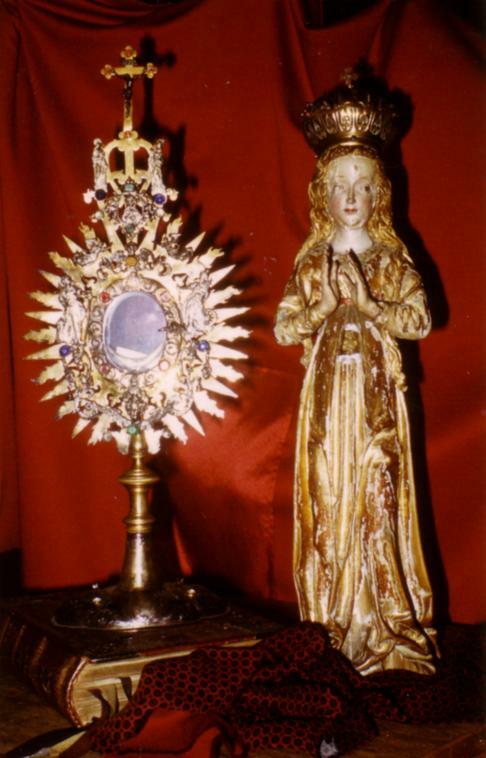 Mary’s heart was at once, the vessel from which her worship poured forth and a receptacle for the breath of God’s Peace. “Let us imagine the Virgin’s state of mind after the Annunciation, when the Angel left her. 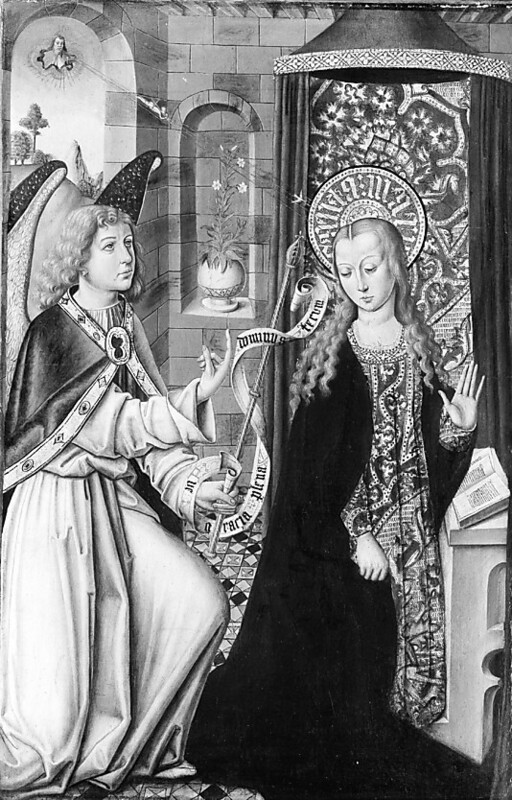 Mary found herself with a great mystery enclosed within her womb; she knew something extraordinarily unique had happened; she was aware that the last chapter of salvation history in the world had begun. The Visitation and the Immaculate Heart of Mary by Pope Benedict XVI On Saturday evening, 31 May , the Feast or the Visitation of the Virgin Mary.